Shoh won our Bingo competition from Cheylesmore. Kay, Matt, Ainhoa, Bina and David won compostable liners for their food waste caddies. 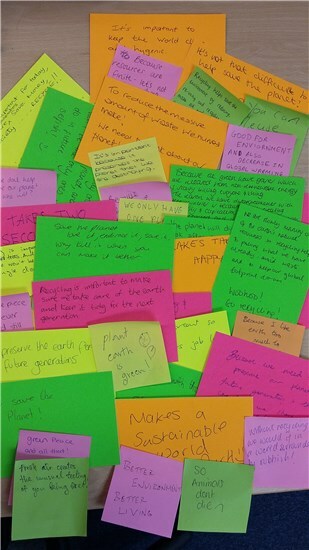 Elina, Gurdip, Shelia and Kirsten all won 50 liners for their food waste caddies. Jean won £20 Love2shop vouchers. 19 runners up also received compostable liners for their food waste caddies. 15 Runners up received compostable liners for their food waste caddies. 12 Runners up also received compostable liners for their food waste caddies. Shoiab from Radford, Maurice from Cheylesmore, Christina form Tile Hill and John from Cheylesmore all won £20 Love2shop vouchers. Yvvone, Bernadette, Gavin, Sarah, Matt, Carys, Roanne all won Cinnema tickets. 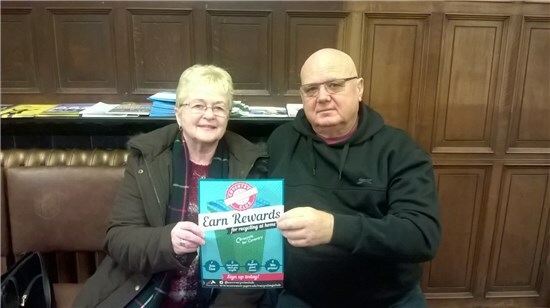 Arthur & Nicole in Wyken won our Bingo competition. Shah, Debbie & Graham all won cinema tickets. 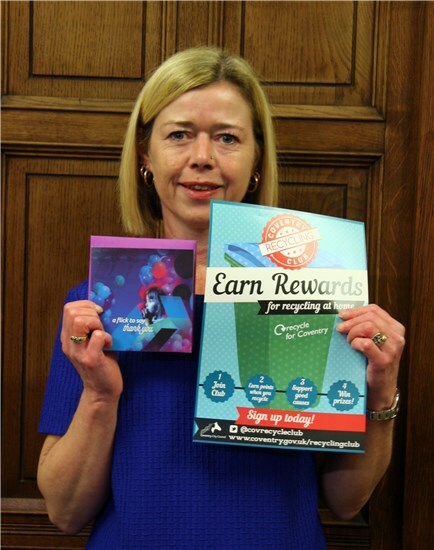 Emma and Alison both won a cinema ticket in our refer a friend competition. 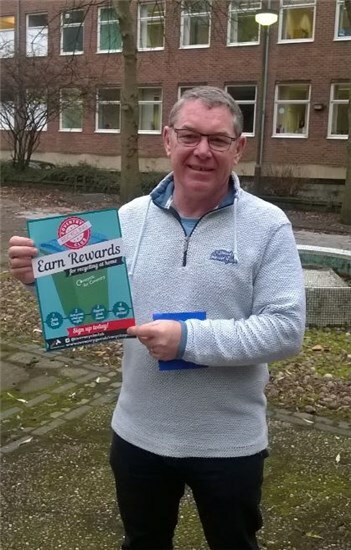 David in Whitey and Sophie in Willenhall both won £50 vouchers in our blue lidded bingo competition. 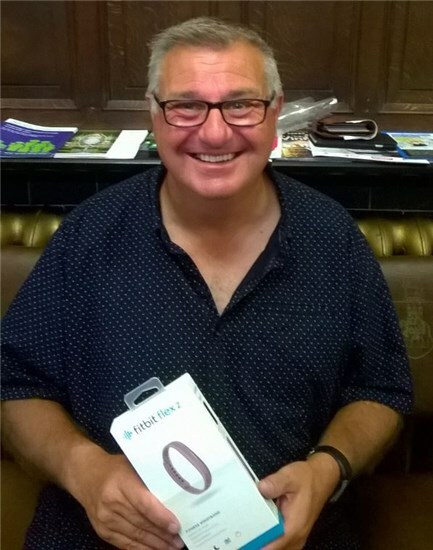 We also had six winners in our quiz Alan won a FitBit, our five runners up Maggie, Kristian, Pamela, Abigail and Andrew all won a cinema ticket. Eight lucky winners claimed £20 Garden Centre Vouchers for entering our quiz, Deborah, Antonio, June, Barry, Sheila, Maxaine and Margaret. 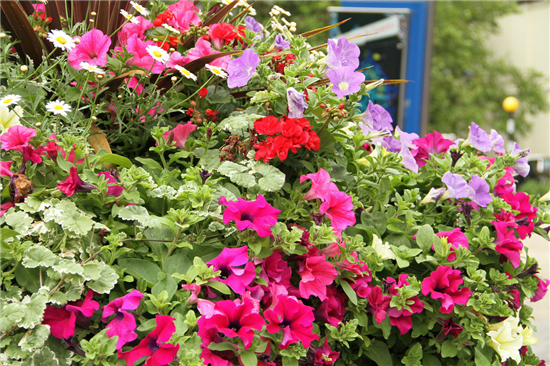 June won £20 garden centre vouchers in a recent quiz its lovely to see what she chose to buy with her prize. 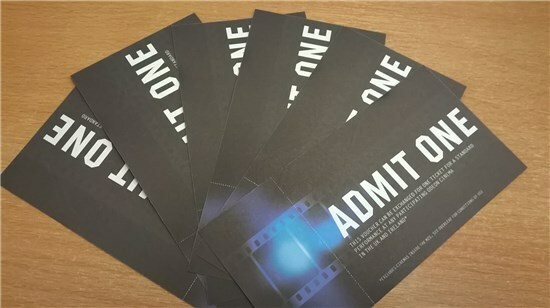 We have given away three prizes of £20 cinema vouchers this month, and a family ticket to Snow White at the Albany Theatre. 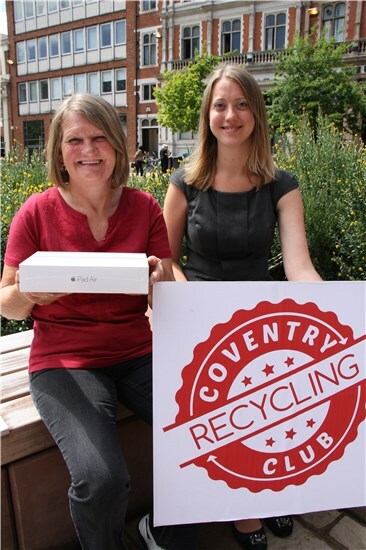 Our winners of this months Bin-Go were Emily and Angela who both won £50 garden centre vouchers. 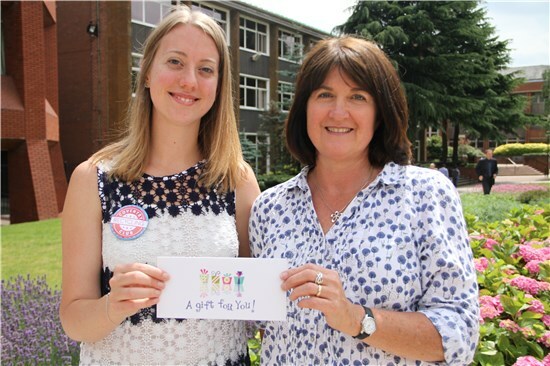 Congratulations to Vicky and Lorraine who won a £50 shopping voucher in the monthly 'Blue Lidded Bin-Go' competition. Congratulations to Amanda, Haseena, Gemma, Antonio, Alison, Mary, Laura, Chandanny, Sarah and Yamini who each won a £20 garden centre voucher. 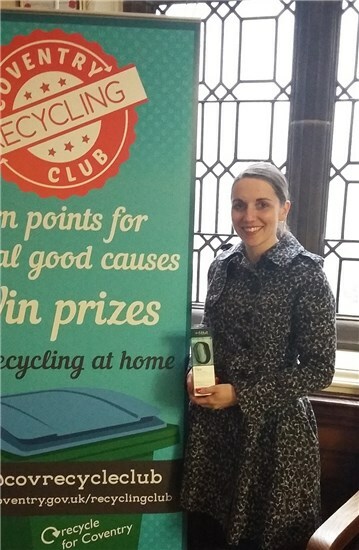 Congratulations to Nicola who won a £50 shopping voucher in the monthly 'Blue Lidded Bin-Go' competition. 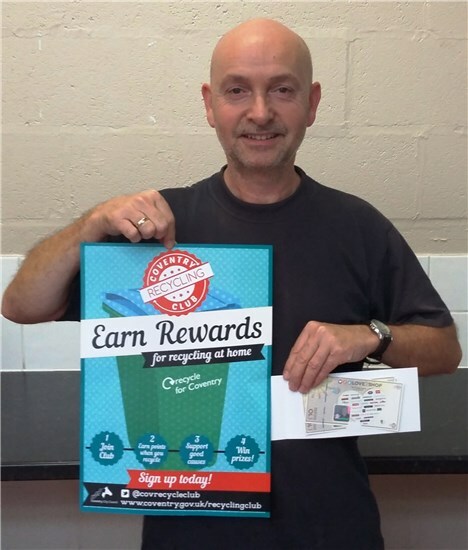 Congratulations to Sharon and Chris who both won a £50 shopping voucher in the monthly 'Blue Lidded Bin-Go' competition. Congratulations to Matt, Greg and Lorna who each won a year of National Trust Membership in the May competition. 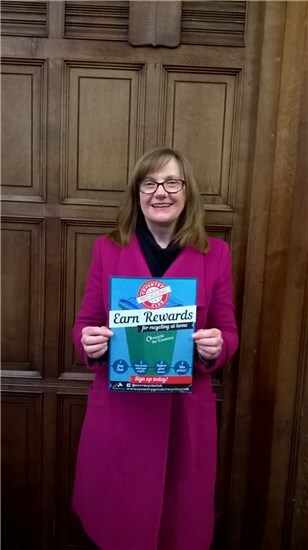 Congratulations to Amanda our April bin sticker competition winner. 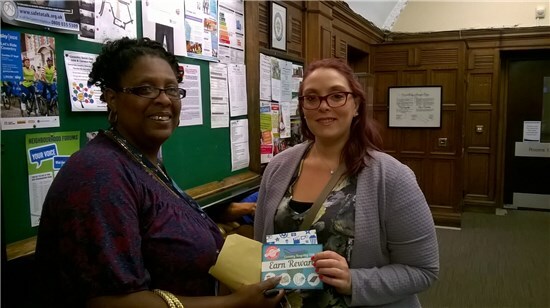 Amanda won a £50 shopping voucher. 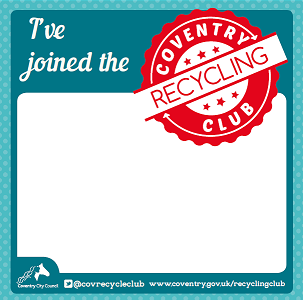 Make sure you put your sticker on your recycling bin to be in with a chance to win. Congratulations to Natasha, Christine, Margaret, Ola, Marie, Gerald, Ann, Ruth, Carol and Stephen who each won a £20 garden centre voucher. 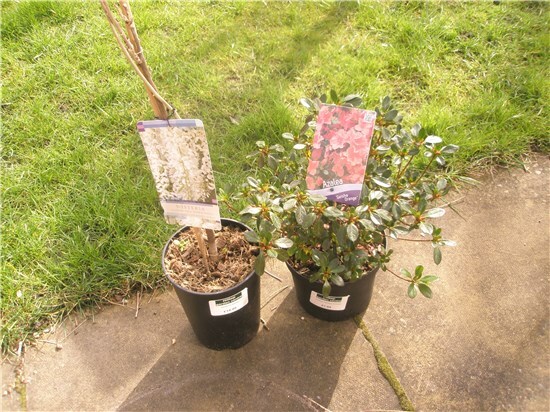 Stephen has kindly donated his prize to the Gosford Community Garden project, one of the current Good Causes. 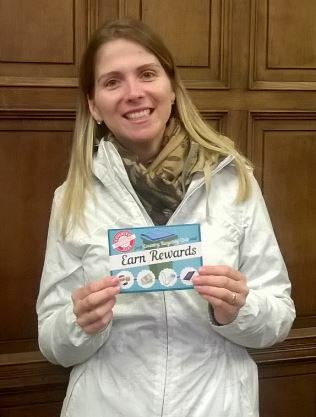 Congratulations to Allison our March bin sticker winner. 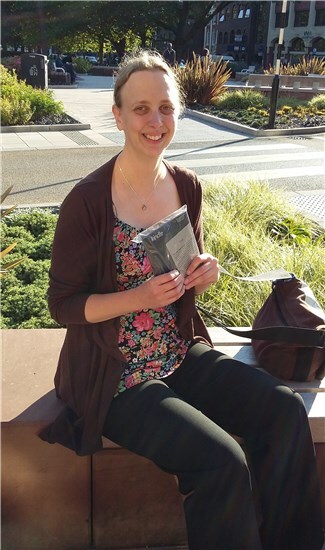 Congratulations to Joanne (pictured), Moira, Jovan and Fiona who each won a Fitbit Flex activity tracker in the February competition. 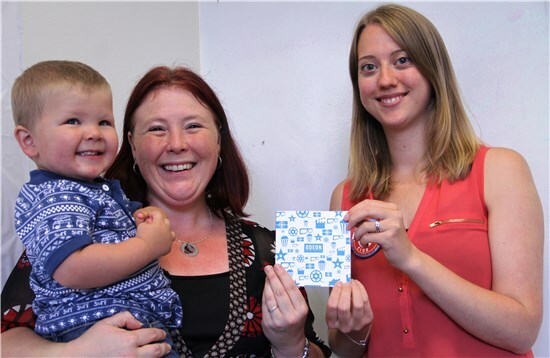 Congratulations to Gina and Nikki our February bin sticker competition winners. 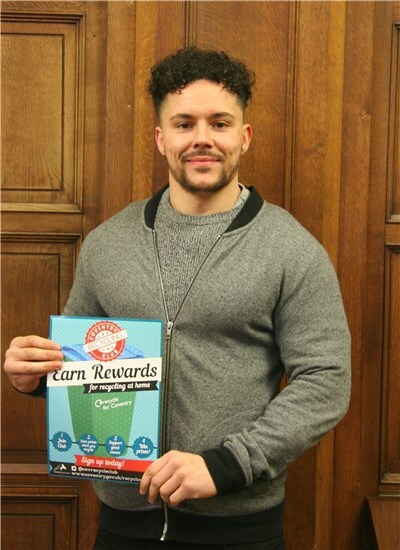 Congratulations to Pardeep and Brenda who each won a £50 high street shopping voucher - what a great start to 2016! 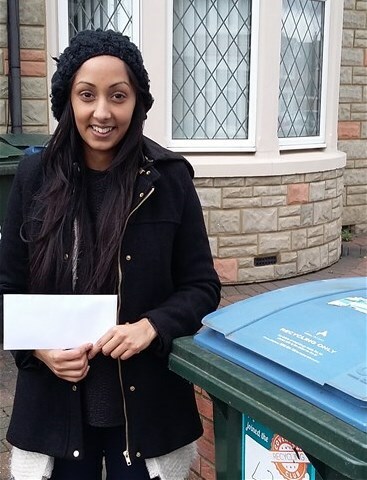 Pardeep said "My initial reason for joining the Recycling Club was to help support our local charities without breaking the bank. I was never expecting to win so I'm very happy"
Congratulations to Graham, Suzi, Angela and Louise who each won a £25 Harvester voucher and a £20 Odeon voucher. 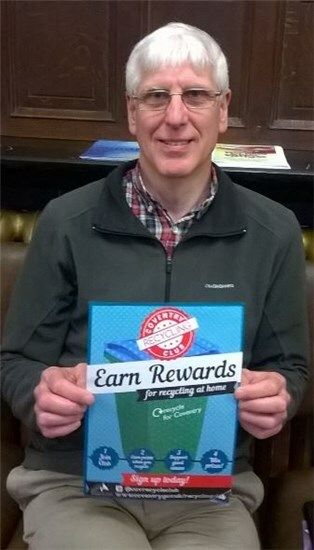 Congratulations to Michael who won a £50 shopping voucher in the monthly 'Blue Lidded Bin-Go' competition. Congratulations to Chandany, Natalie and Chris who each won a family ticket to see Cinderella at the Albany Theatre. After the show, Natalie said "A great big thank you it was great!" 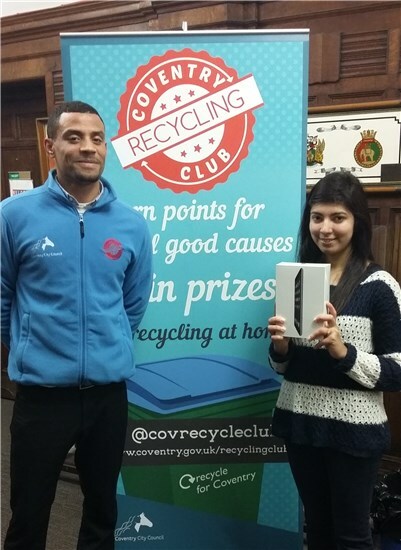 Congratulations to Sital and Katie who each won an iPad Mini 2 for referring their friends to join the club. Katie (who referred 14 friends!) said "I can't believe it, I am so pleased to have won!" You can still earn points for referring your friends. You and your friend will receive 50 points when they sign up. 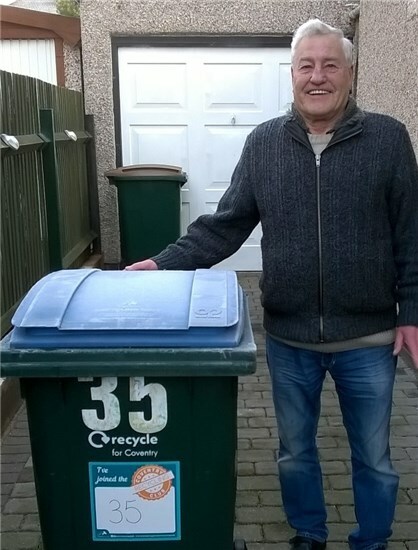 Congratulations to Tim and Norma who each won a £50 shopping voucher in the monthly 'Blue Lidded Bin-Go' competition. 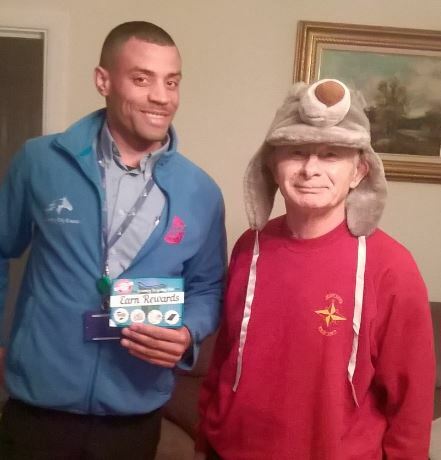 Tim, who lives in Coundon, was delighted to receive his voucher which comes at a great time just before Christmas. 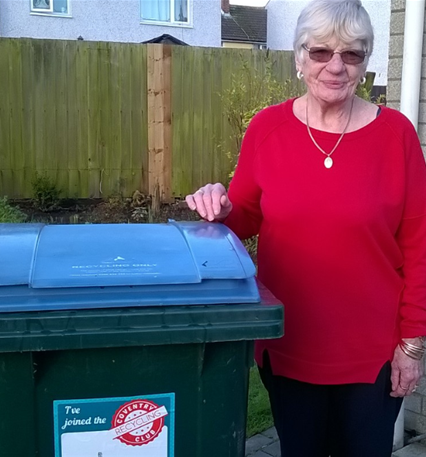 Congratulations to Michelle, our first 'Blue Lidded Bin-Go' winner! 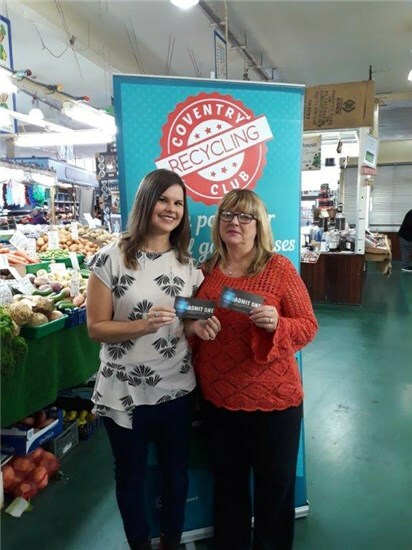 Michelle won a £50 shopping vouchers because her 'I've joined the Coventry Recycling Club' sticker was spotted and her recycling bin contained the right items. If you have just joined the club you should receive your sticker within 28 days. 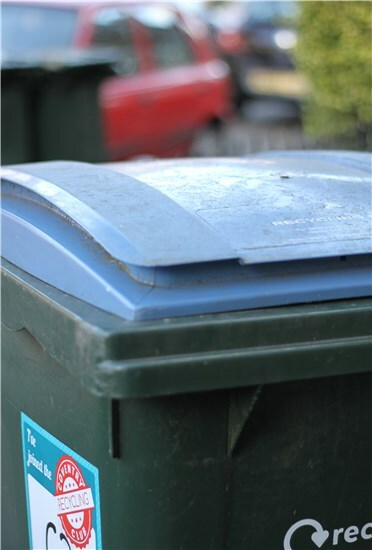 Write your house number on it and put it on your bin straight away for your chance to win. 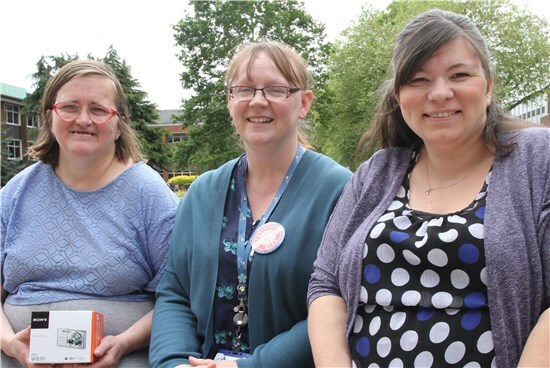 "Because we need to preserve our planet for future generations and the creatures we share it with"
"So that when I buy something new I know that it has come from something old"
Congratulations to our September winners! In our second prize draw Marion won a Kindle when she donated points to Good Causes. Three other lucky people also won Kindles. Congratulations to Debbie, Michael and Allen! 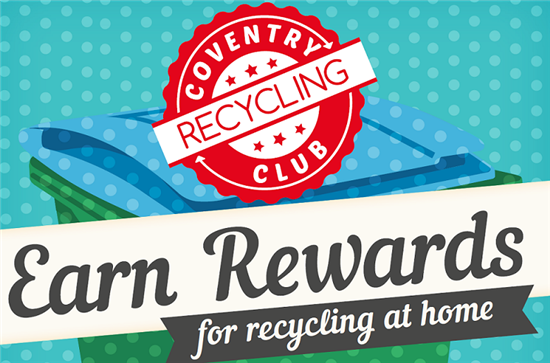 Twenty lucky Coventry Recycling Club members won a £25 National Garden Centre Voucher in August! Nine lucky people won a £20 cinema gift card for playing our sorting game at Godiva Festival! Vicky picked up her prize this week. Amanda and her son also picked up their prize. Amanda is looking forward to a night out at the cinema with her husband. 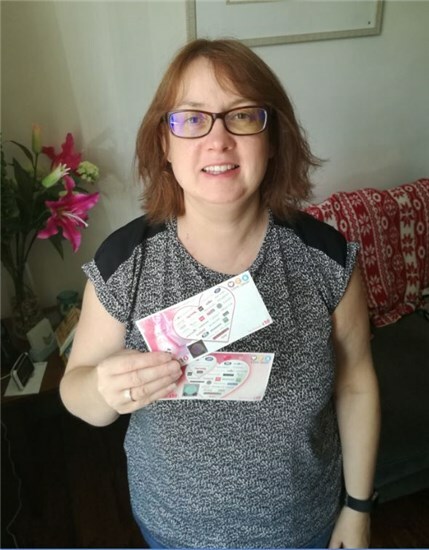 Amanda and Amy both won a £50 Love2Shop voucher by joining the club between Friday 3rd - Sunday 5th July (Godiva Festival weekend). 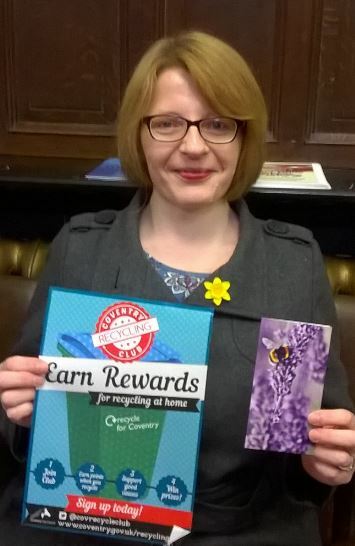 Amanda collected her prize this week and can't wait to spend it. 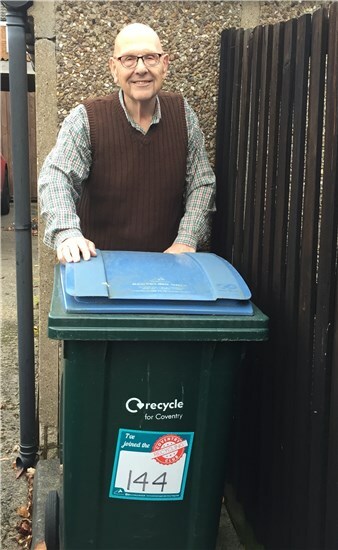 Thanks for entering our 'Which Bin' competition. We asked you which bin you can recycle plastic bottles and pots, paper and card, glass bottles and jars and tins and cans in. The answer was the blue-lidded bin. 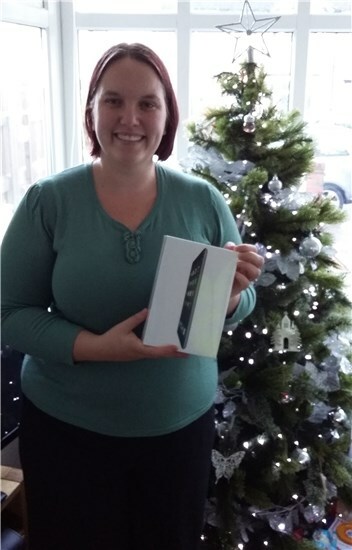 Congratulations to our lucky winner Fiona who won an iPad Air 2! The draw for our cameras has now taken place and two of our lucky winners received their prize this week. Sharon and Roni are both looking forward to trying out their new cameras over the weekend! Our third prize winner Carol was thrilled to receive her camera and is looking forward to taking lots of lovely photo's. 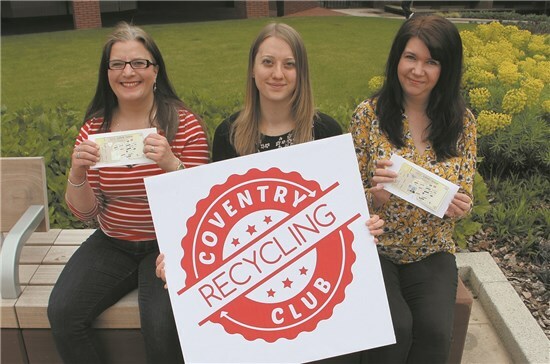 Michaela and Emma both won a £50 Love2Shop voucher for referring their friends to join Coventry Recycling Club.